We’re here, Part 2. These are the six best fights that can be realistically made in boxing at this very moment barring any unforeseen/catastrophic event. I’ve ranked them in order of appeal from my perspective. But first, be sure to check out Part 1, which contains fights 12-7. Anyway, I put some thought into these fights happening and I can honestly say that I believe each of them would have some form of drama and fireworks or in other words “Big Drama Show.” I’m not going to hold you from the moment you’ve (even if it’s literally only one of you) been waiting for! Let’s dive straight into it. This is the featherweight fight that matters at the current moment. This pits the WBC world featherweight champion, Russell, JR., against the WBA Super (and WBC Diamond, whatever the heck that means). Both seem open to the idea of facing each other whenever they’ve been interviewed in that regard. There’s time between now and the end of the year to make this a reality. It would be an excellent style clash as well. Santa Cruz likes to mix it up and Russell, JR., will do the same when pushed (see his last fight with JoJo Diaz). At this point I don’t think there is a better fight at 126 than these two fighters taking on each other (though, I do like Oscar Valdez). I think that Russell, JR., is the more technical boxer and will prevail should they lace em up. It would likely be a decision in Russell, JR.’s favor. Santa Cruz won’t go down without a fight, for sure. What more can I say? If they’re both game, bang! Reports from many fronts have indicated this fight is a real possibility for later in the year. Fury has even indicated such on social media over the last several days. Of course, Fury has a matchup with Francesco Pianeta on August 18th (nothing’s out of the realm of possibility for Pianeta, but Fury WILL win). Wilder Vs Fury would be a test for each fighter. Fury would be two fights removed from a nearly three year layoff. We don’t know what Fury will look like at the elite level during this phase of his career, but Wilder would surely bring that out. Wilder has been calling for the Joshua fight and what better statement to make for his claim as the #1 heavyweight in the world than by taking on and defeating the guy who was considered the #1 heavyweight in the world prior to his layoff. Fury is without a doubt the more polished of the two fighters and it will be interesting to see how Wilder deals with a larger, skilled boxer. It will be interesting to see how Fury deals with an athletic and explosive heavyweight in his physical prime. The scenarios for victory are limitless. I’m going the WBC world heavyweight champion, Wilder. Stoppage! This fight really needs no introduction and has probably been the most talked about potential matchup over the month. Mikey has called for it and Spence, JR. is accepting of the call out. On paper, one could argue that Mikey has the better resume, depending on how much you value Spence, JR.’s win over Kell Brook (I rate it highly). The only thing about Garcia’s wins, though, is the fact that all of his fights have taken place at 140 and below. As a matter of fact, the bulk of his fights have taken place at 126 pounds. Spence, JR. is a full-fledged welterweight and is on the bigger side of the division. He’s also at worst the #2 welterweight in the world (I rate him #1). While I feel that the jump in weight to face the top guy at welterweight will be too much for Garcia, who am I to question his motive? That said, many who have laced the gloves up on the professional level, past and present, have pointed out how much of a jump it will be. It’ll be fun for as long as it lasts. It will also be a very dangerous fight for Garcia. If I were a betting man, I’d favor Spence, JR. via late TKO. I’d rather see Garcia against Manny Pacquiao if 147 is where he wants to venture next. These two have already faced off in what was a fight of the year candidate back in February, 2018. Additionally, Estrada has a fight coming up on September 8, 2018, against Felipe Orucuta, while Sor Rungvisai has an October 6, 2018, WBC world super flyweight title defense against Iran Diaz, and one can never look past their opponents in boxing (I’m serious). The likelihood of this fight being squeezed into 2018 is slim, but an early 2019 rematch could be in order should both fighters win their next fights. This makes sense and would provide boxing with an early potential fight of the year to lead off 2019. HBO has been pushing the ‘Super Fly’ brand for a while now and there is no reason to stop at this point. I think this could ultimately be the best fight out of all on the list and the stakes will unquestionably be higher this time around. As a matter of fact, a trilogy isn’t out of the realm of possibility, even if both move up weight. I’m calling it a draw! Plans for a Bivol Vs Sergey Kovalev clash have been thwarted due to the right hand of Alvarez with a punch combination he calls “The Macintosh,” which secured him his first world championship less than two weeks ago. Kovalev has a rematch clause but questions of retirement have loomed and it won’t get any easier from here. Bivol just picked up a solid win against veteran Malawian, Isaac Chilemba, a fighter it’s hard to look good against. From my perspective, this would be a 50/50 fight and I wouldn’t be at all surprised if Alvarez were the slight favorite. I think Bivol has the most upside of any light heavyweight in the world at the moment and is pretty much destined for greatness moving forward. Alvarez, though, proved that he’s a force and picked up the best win between the two with his TKO over Kovalev. Bivol was fighting at the world title stage at only nine fights into his pro career and is essentially still learning even though he’s the WBA world light heavyweight champion. Alvarez holds the WBO title, so this would be a unification fight. I think it would be more of a chess match as each fighter cautiously wade the waters. My general instinct says decision win for whomever comes out on top. We shall wait and see what Kathy Duva wants to do next. This is the most interesting of the possible matchups I’ve listed. There are fighters on my list that I rank higher, but this fight is probably the one fight that I want to see more than any of the others on this list (keep in mind these are fights that are seemingly possible). They match up almost evenly when looking at it from a physical standpoint. Furthermore, they are pretty much even on paper as well though I’d give the slight edge to Hurd. The best win between the two is Hurd’s win over long reigning former middleweight champion, Erislandy Lara. They both share the next best win on Hurd’s resume and best win on Charlo’s resume, Austin Trout. Hurd holds the IBF and WBA world super welterweight titles. Charlo holds the WBC world super welterweight title. A unification is in order! This would be an intense fight and the buildup alone would be crazy. Charlo is sure that he will knock Hurd out if Hurd were to stand in front of him and bang, as he typically does in each fight. Easier said than done. DC Vs H-Town. This fight may not go to the cards depending on how bad each fighters blood is boiling come fight time. That said, a decision is the likely scenario.They’re both advised by Al Haymon. This fight needs to happen, ASAP. As far as who would win, well, I’ll leave that for you to decide! Let me know your thoughts on the list! Are there fights missing? Are there fights you would take off? 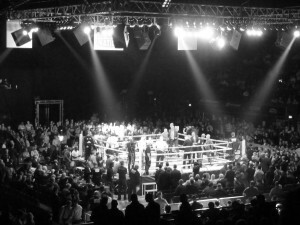 Weigh in on the Ringside Report forum and as always, check in for the latest and greatest in the boxing world! « Why Americans Must Remain Awake In a Donald J. Trump America!